A speeding tickets in Colorado can be classified in two ways: (1) traffic infraction or (2) traffic offense. 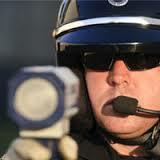 Traffic infractions are the most common type of speeding tickets in Colorado. Penalties for infractions involve court fines and points against your license. Speeding Offenses in Colorado are criminalized and, in addition to points and a fine, carry the potential for incarceration/jail time. Traffic offenses should be taken very seriously because jail penalties are regularly imposed against aggressive drivers who the court determines are deserving of a jail sentence. When you pay your ticket, you give up your all of your rights! What is Colorado Drivers License Point System? Colorado’s point system can be confusing. Understand that the points against your Colorado License is tracked for a period of two years. You can learn more about the point system by clicking here: Colorado Driver’s License Point System and you can learn more about Colorado Speeding Ticket Penalties by clicking here: Colorado Speeding Ticket Penalties. When you are an out of state driver cited for a speeding ticket in Colorado, understanding your options can be relatively difficult. In fact, if you are licensed to drive in Colorado and live in Colorado, understanding traffic tickets in Colorado can be confusing. This webpage can be used as a guideline to help you understand your citation or traffic ticket in Colorado; however, it is important to understand that there is no substitute for actual legal advice from a licensed attorney in Colorado that specializes in traffic law, traffic tickets or traffic violation defense. The first thing you need to know about traffic tickets in Colorado is that not all courts will treat them the same. The court that has jurisdiction over your speeding tickets in Colorado will can impact your case. To further complicate the issue, it is important understand that there are state courts (county courts) and city courts (municipal courts) in Colorado. A county court penalty is different from a municipal court penalty. A county court rules for traffic tickets is different from municipal court rules for traffic tickets. County court fines are different from Municipal Court fines. Traffic Court jail penalties are different form Municipal Court penalties. For example, a municipal court can jail you for up to a year and/or fine you up to $999.99, if you are charged with a speeding offense; but a County Court which will cap your jail sentence at 90 days and your fine at $300.00. Whether you are a resident of Colorado or an out state driver with a speeding ticket in Colorado, it is wise to contact an experienced traffic attorney with high ratings to help you determine the best method to approach your traffic ticket and preserve your rights. The answer to this questions will largely be determined by the traffic violation and by reading your traffic ticket -which is not always the easiest thing to do. If you are charged with a traffic offense, you will have a court summons and have no choice but to appear in court. If you have a traffic infraction, you will have the option to pay the ticket (plead guilty) by mail which usually is not the best thing to do with your ticket because traffic violations on your record can lead to higher insurance rates and/or loss of driving privileges due to accumulation of too many points against your license. It is important to note that you usually only have a certain amount of time to pay your ticket and after that time has passed, you will have no choice but to go to court whether you are a Colorado resident or an out of state driver with speeding tickets in Colorado. Attorneys can appear for you, when you can't make it to Court. Whether you are a resident of Colorado or an out of state driver, you never want to fail to appear in court for your traffic ticket. The best thing to do in this situation is immediately contact a lawyer to represent you in court. It might sound expensive to hire a lawyer to help you with your ticket when you are unavailable for court; but the alternative is severe punishment and more expensive. In some courts, when you fail to appear, you automatically forfeit your right to contest the ticket. Giving up all of your rights is not the only thing you give up, the court may also suspended your license or issue a warrant for your arrest. Most of the time you suffer all of the aforementioned consequences and incur substantial legal fees to address the problems created by failing to appear in Court. Contact our Speeding Ticket Lawyer for your Speeding Ticket in Colorado to explain your options and your rights when you are cited for speeding. www.trafficattorneycolorado.com is a traffic violation firm that fights for your tickets in different counties throughout Colorado. Don't Wait to Get Help! CALL 303-963-9363 FOR HELP IMMEDIATELY!